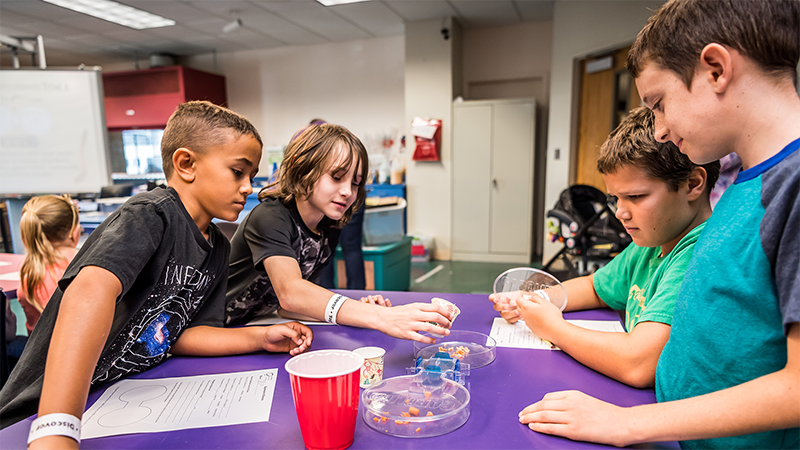 Orlando Science Center’s school programs tackle science concepts from textbooks and put them into context with hands-on, minds-on experiences that make a lasting impression! The Science Center is joining the efforts to revitalize STEM education in our community. Whether you meet us here in the museum, or you invite our staff to lead a program at your school or organization, our goal is the same: to show people that exploring these critical areas in an informal way can be fun, exciting, and inspiring. 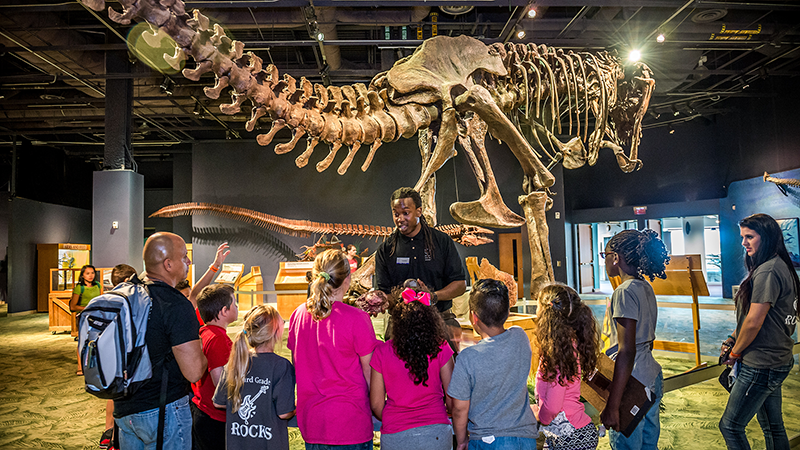 Participation in museum-based science education programs can significantly increase students’ and educators’ content knowledge and improve their self-confidence in science ability. We reach thousands of students and educators annually through our school programs like in-classroom workshops, Family Science Nights, and more. Our hope is that you’ll take the things you discovered as a result of your time with us and use them as a springboard to explore further. Our ultimate goal is to create a STEM-centered community that paves the way for excellence in science, technology, engineering and math. 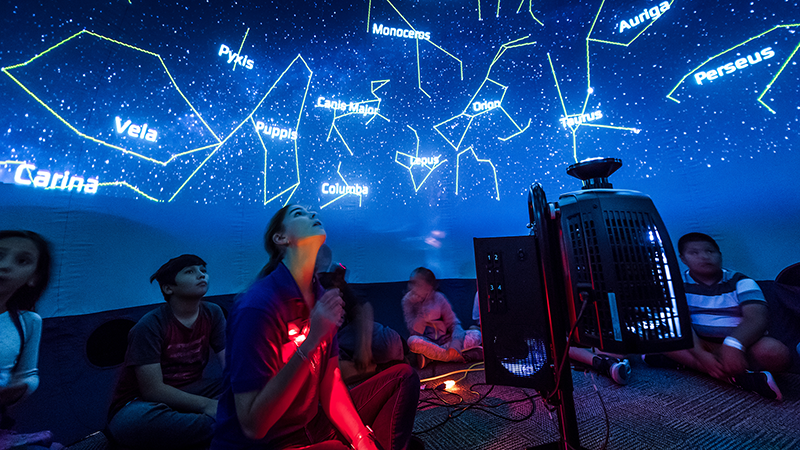 Bring your classroom to the Science Center for hands-on learning and fun day or night! Let us bring the Science Center’s workshops, live shows, and more to you! Enjoy an educational day featuring hands-on labs, educational films, and exhibit exploration.